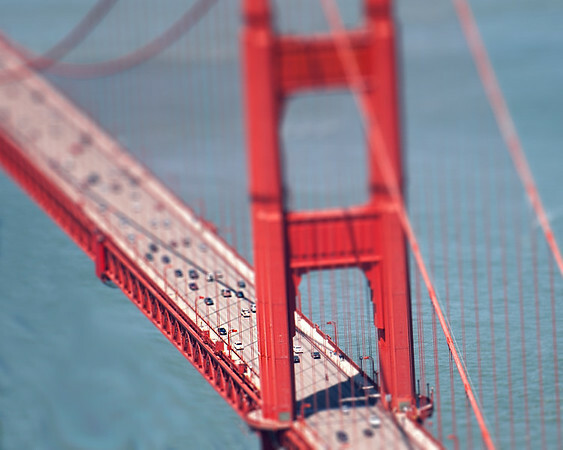 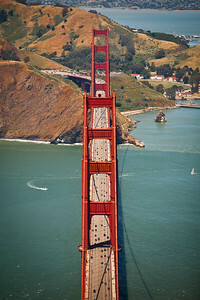 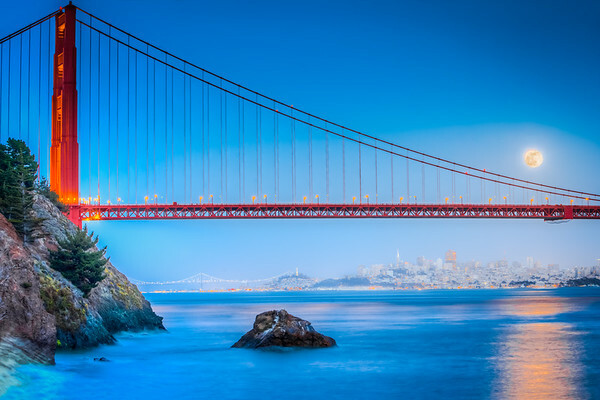 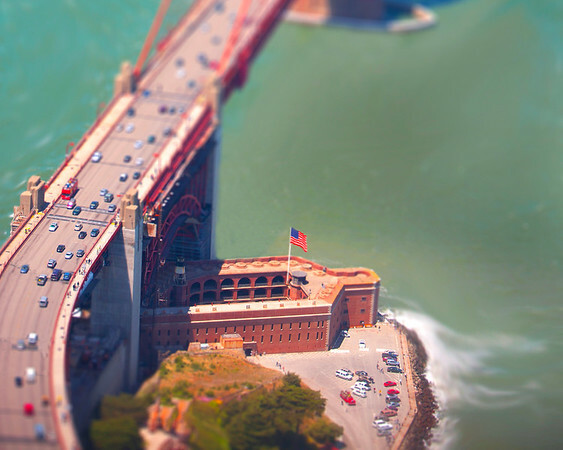 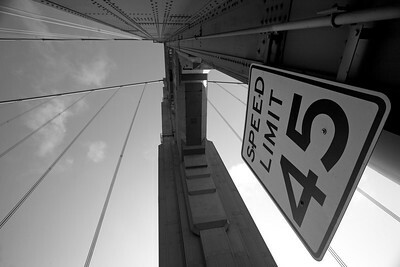 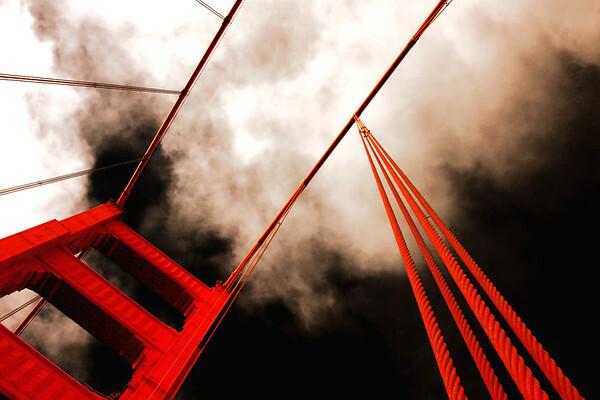 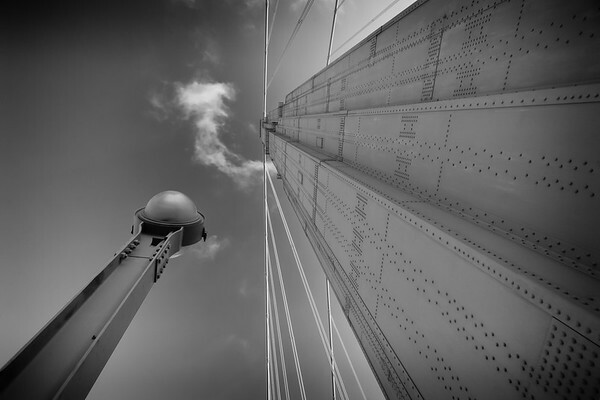 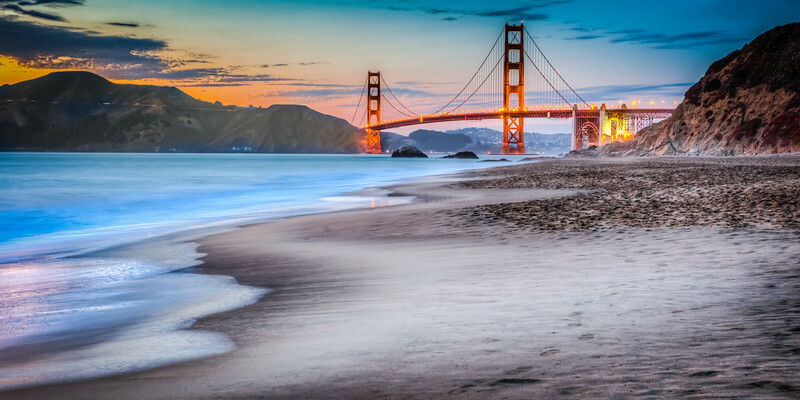 Each tower of the Golden Gate Bridge peaks at 500 feet above the roadway. 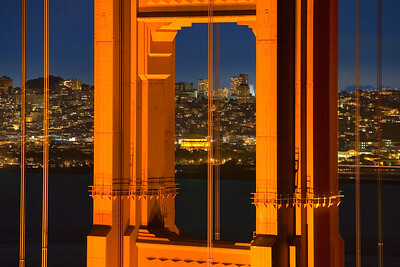 Supermoon rise May 24, 2013 over San Francisco. 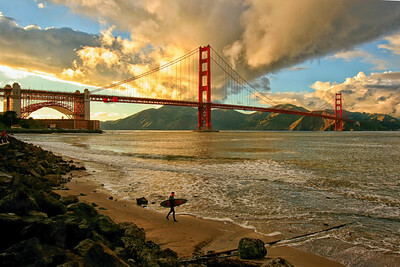 A surfer calls it a day. 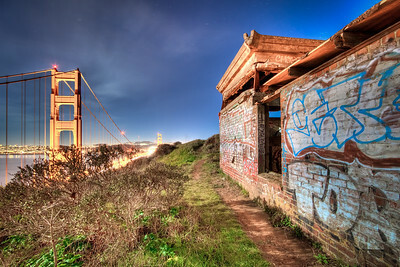 San Francisco's Marina District as seen from the Marin Headlands. 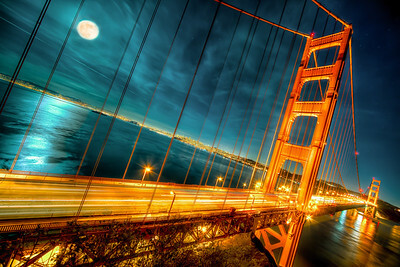 Full moon over the Golden Gate Bridge. 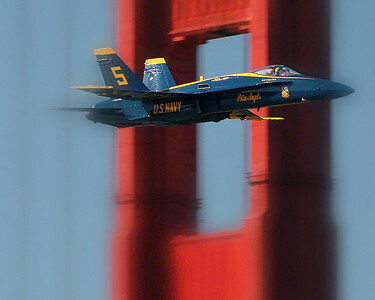 A Blue Angels F18 passes in front of the south tower of San Francisco's Golden Gate Bridge.